Available from Pitney Bowes Software formerly known as MapInfo Corporation + Group 1 Software, world leader in the GIS technology. 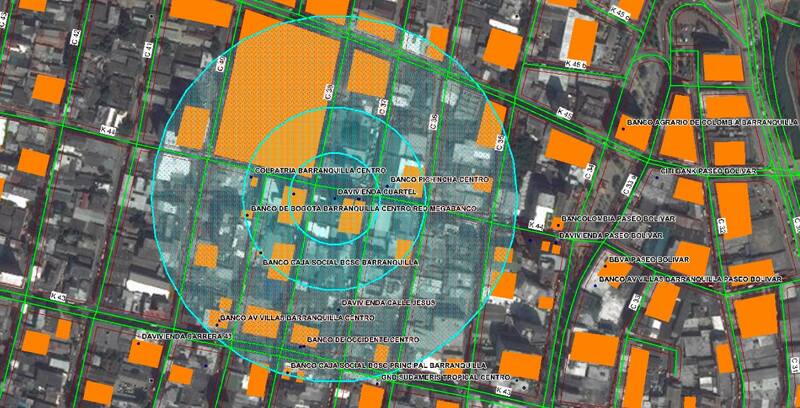 MapInfo Professional is an industry leading location intelligence desktop solution used for creating, editing, visualizing and analyzing customer and business data in the context of location. The 16.0 version provides an assortment of dynamic new features, including a powerful interface extremely user-friendly, enhanced data access, and robust map output capabilities. MapInfo Professional v16.0’s flexible user interfaces not only greatly improves efficiency and organization, but also increases productivity. In both versions (32 and 64 bit), the user interface allows users to use mini-toolbars just by right-clicking on the map helping to improve efficiency, reduce screen clutter, and save time. » Provides full read and write capabilities to the open source PostgreSQL database. Access to the open source database allows users to access, edit, and save PostGIS files to the database through MapInfo Professional. 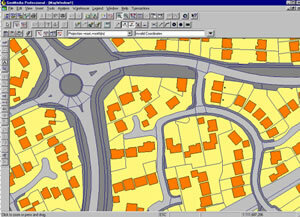 » MapInfo Professional v16.0 satisfies various government mandates requiring PostGIS format support. » Microsoft® SQL Server 2008 Spatial Database— Optimizes IT investments by providing both read and write access to Microsoft’s® SQL Server 2008 spatial database. » Microsoft® Office 2007—Supports the new file format of both Microsoft® Excel and Microsoft® Access. 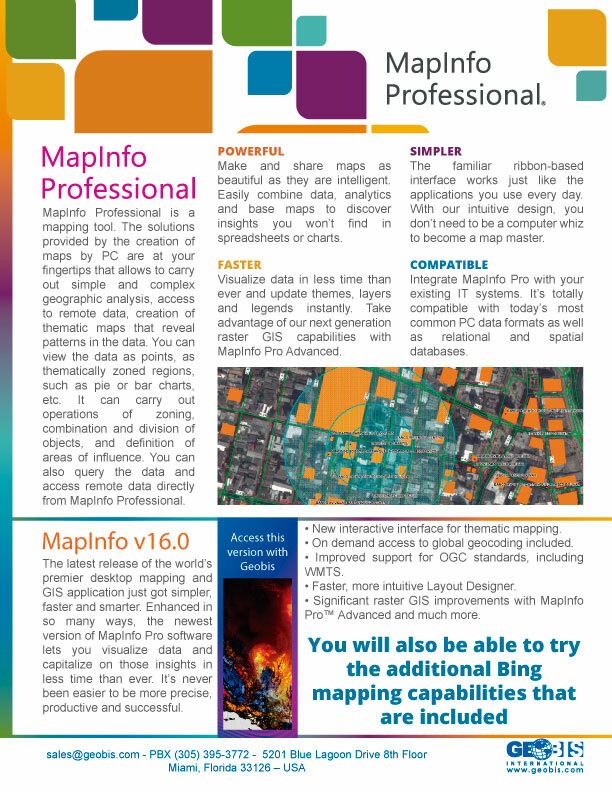 » MapInfo Professional v16.0 includes new dynamic elements and map output capabilities, such as a dynamic scalebar and the ability to export maps to layered PDF. The dynamic scale bar automatically adjusts and updates as you zoom, pan, and resize the map window. 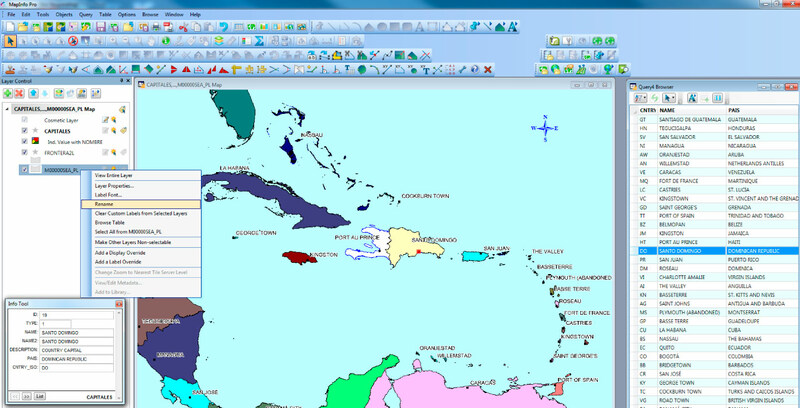 » Once the desired maps are created, MapInfo Professional v16.0 supports exporting maps to layered PDF format. The layered PDF format allows future access to the various layers of data. This enables specific layers to be turned on or off, depending on the requirement, providing flexibility for the end user. » MapInfo Professional v16.0 includes a powerful new layer control. This redesigned Layer control, shown as either a floating or docked window that remains visible during the entire mapping session, provides quick and easy access at all times. » Style swatches, label conditions, and text style settings are now easily accessible and included next to each layer, allowing you to change and preview layer settings quickly and easily. By simply clicking the desired style swatch, the new style override can be set for one or more layers in a single step. The new layer property manipulation process, coupled with the immediate preview capability, results in fewer clicks and improved efficiency. » The redesigned layer control not only allows access to layers in all open maps, but also allows editing to layers in multiple workspaces, simultaneously. By allowing you to view, manipulate, and preview all current map layers, MapInfo Professional v16.0 creates a substantial time savings. 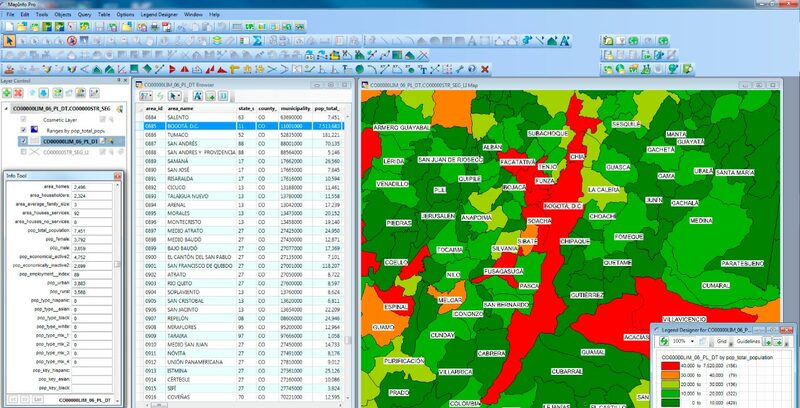 MapInfo Professional v16.0, and its location intelligence capabilities, helps organizations understand their business, analyze trends geographically, and make critical decisions with greater clarity of risk and opportunity.